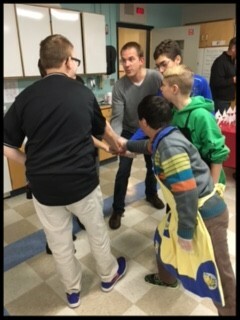 The SOAR program held their annual Holiday Staff Luncheon on December 9th. 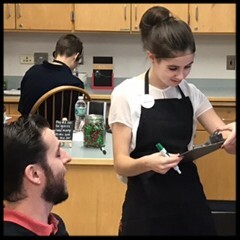 The students took on a variety of roles such as waiter, waitress, cashier and line cook! Students cooked and served our staff chili, grilled cheese and a rice krispie treat and also raffled off handmade centerpieces. On Thursday, December 8th students used recipes to double serving sizes, took inventory of needed items and created a shopping list. 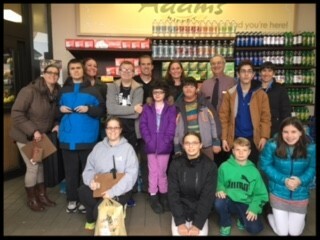 Students then went to Adam's market to purchase the needed items for the luncheon. 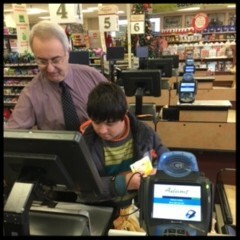 The managers donated a gift card, candy and allowed our students to scan our items! 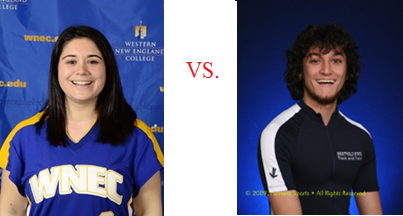 If Ms. Carneglia's team wins, all the donations will be given to the Monson Salvation Army and if Mr. Hogan's team wins, all the donations will be given to the Monson food bank. Additionally, the losing teacher will have to purchase a t-shirt supporting the other teacher and wear it to school. Please consider partaking in our competition for a cause! 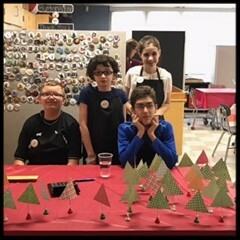 From now until December 22, if you have some spare change and would like to donate, you can pledge your money to support Team Carneglia or Team Hogan. Ms. Carneglia and Mr. Hogan will have containers in their classrooms.Thank you for your support! Mr. Hogan's 8th grade social studies class examines current events to make connections to history and relate the information to our modern lives. Last week students discussed the treatment of the United States flag, symbolism, the debate at Hampshire College in Amherst, and veterans, such as those who served in WWII and Pearl Harbor. As part of the lesson, students discovered a Supreme Court case from 1990 that determined any law that forbid desecrating the flag to be unconstitutional. However, students also read a Massachusetts state law which fined or even jailed anyone who intentionally damaged the flag. Senator Anne Gobi, who has attended the GVMS Veterans Day Assembly, responded to clear up the confusion: the Massachusetts laws are outdated and the federal ruling takes precedence; burning the flag is not illegal. 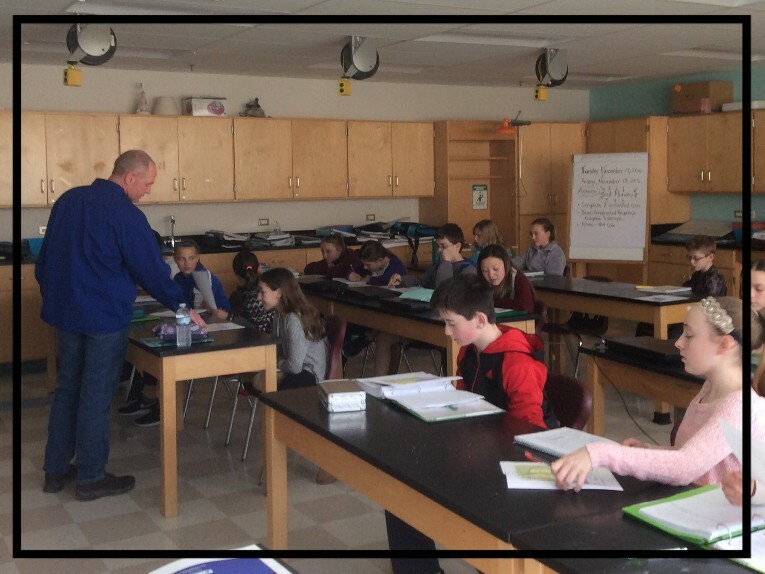 Craig Jalbert, Superintendent of the Monson Water Department, visited the 7th grade STEM class to discuss how students get water into their homes. This was part of an engineering design project the students were working on. 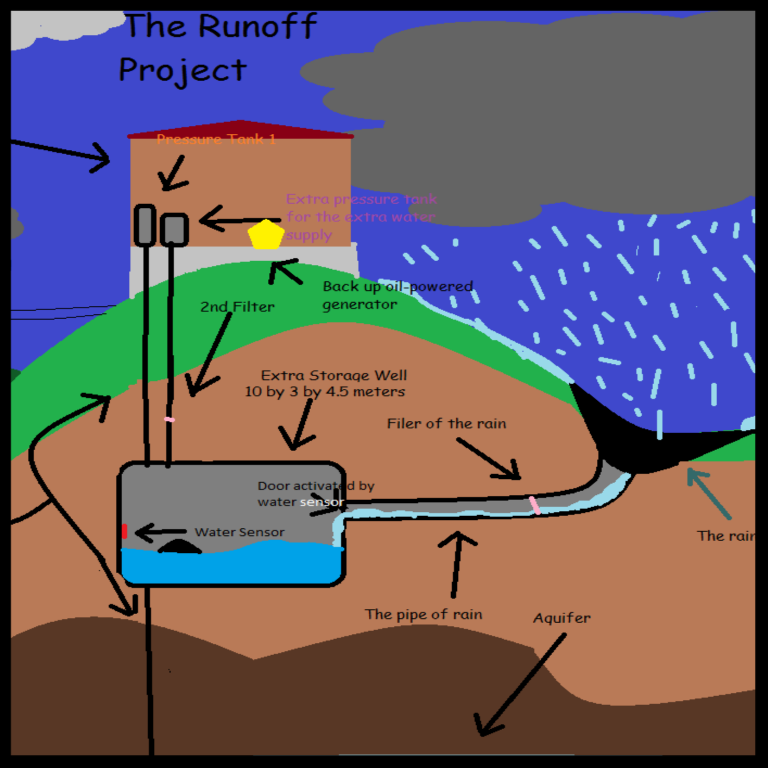 Students were charged with designing a backup water system in the event of short and long term system interruptions. One example of the project design is pictured. Many thanks go out to Mr. Jalbert.